Millions and millions raised for disadvantaged children. 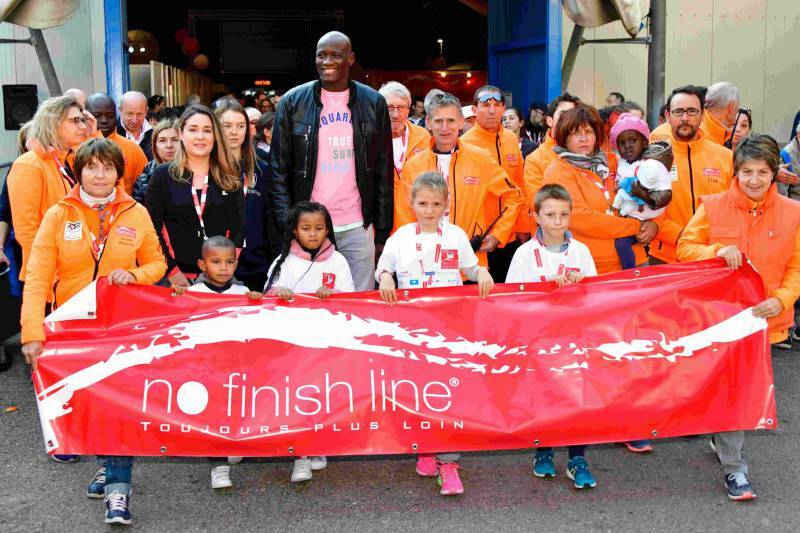 Monaco’s No Finish Line (NFL) gives everyone their own chance to “do it for the kids”. 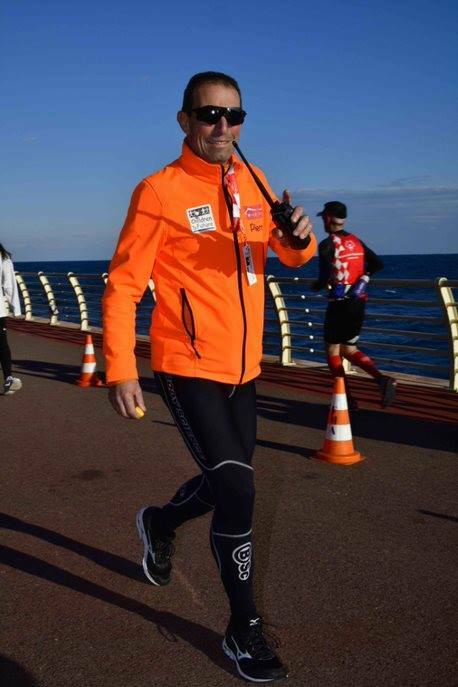 Philippe Verdier the organiser can only smile, watching the charity Children&Future flourish because Monaco cares so much. It’s infectious – when it started funds rolled in each year at a clip of just over 100.000 euros. 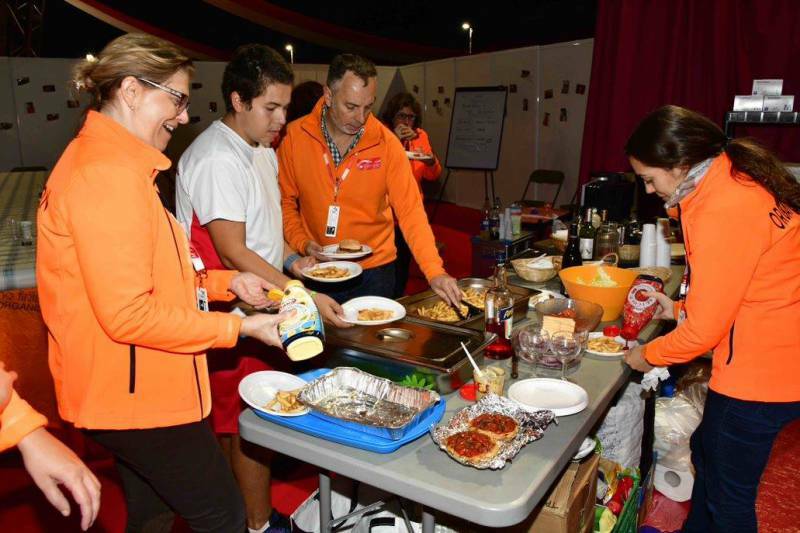 Now in its 19th year and individuals and teams will just not stop breaking records – such that it’s becoming hard to count the euros raised by those flying feet – way over 400.000 euros this year to add to the millions overall. 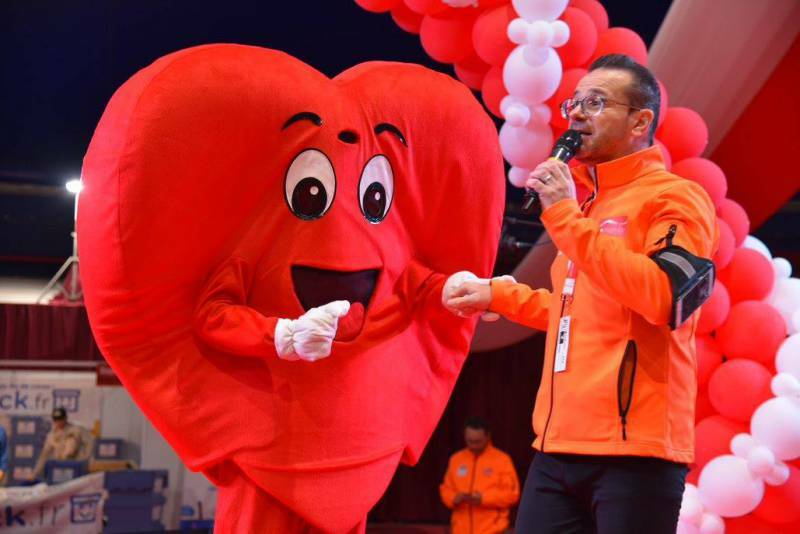 The Cardiac-Thoracic Centre in Monaco will benefit as well as about 20 projects helping children including those far away in countries like Mali – kids are going to be saved and lives improved. Celebrities always flock to Monaco to lend a hand. And new Ferrari Formula One star, Monegasque Charles LeClerc took his foot off the brake and put his two feet to work in the one race where there is No Finish Line – dreaming no doubt around each lap that the Monaco Grand Prix checkered flag was awaiting him. Then, of course, Didier Sessegolo and Mimi Chevillon, also known as “Superman” and “Wonderwoman” really have caught the bug. What is the No Finish Line without them. Mimi has won the No Finish Line for an incredible fourth time shattering her record yet again covering an incredible 853 kms. And Didier is like a watch that won’t stop ticking, another four time winner covering 900 kms this year. 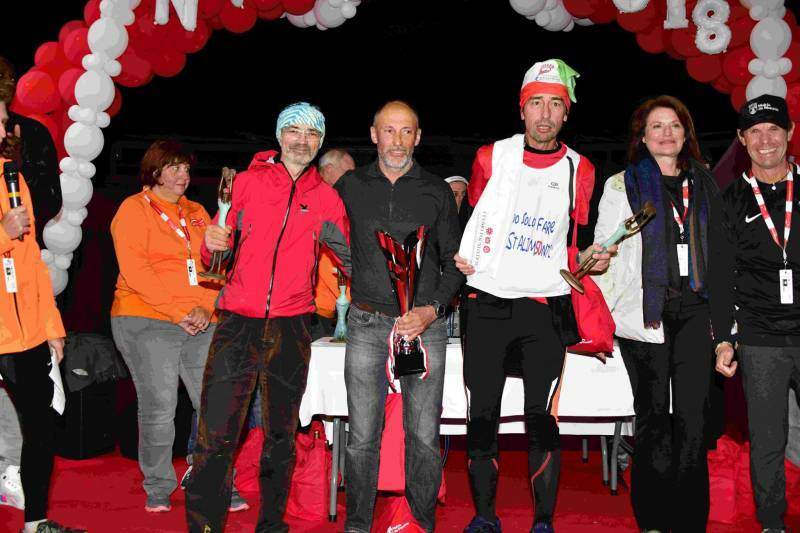 No surprise that after their runs they walked away to great applause with the prized Coupe du Prince awards. Were they upstaged by the students of Charles III College who worked as a team and smashed the all-time team record set four years back for a team performance. Virtually impossible to cover over 27 thousand kilometres, but they did. Special mention has to go to Valerie Hirschfield, who as an amputee with one leg enthusiastically participates in the one-day competition. In No Finish Line you can choose to run over as much as eight days or test you ability over one day like Valerie. When Valerie is on the track she is helping support disadvantaged children and at the same time waving the flag for her association Renaissance, a charitable cause in favour of amputees. Captain of AS Monaco’s Basketball team Amara Sy, “godfather” of the event couldn’t stay away; nor could Princess Alexandra of Hanover. Princess Stephanie is of course “godmother” to this spectacularly successful charitable event. Nor could France 3 series “Plus belle la vie” stars Stephanie Pareja and Rebecca Hampton stay away. 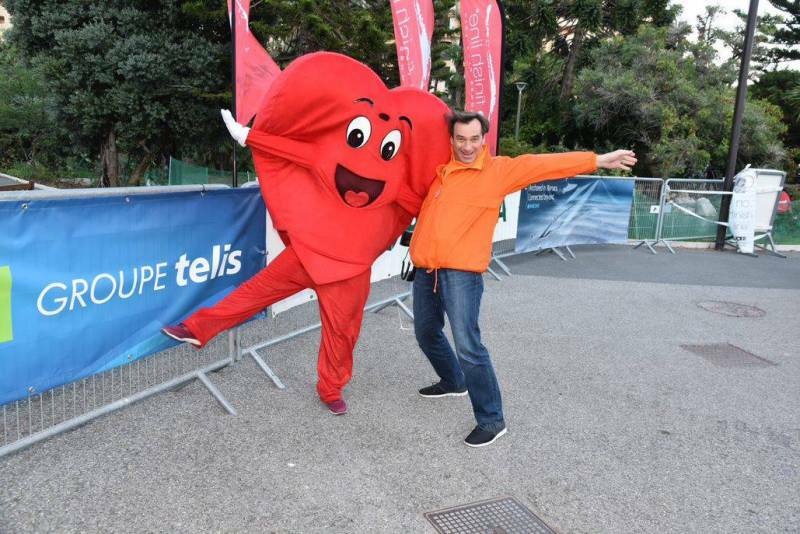 And the Monaco Government and Conseil National are big supporters too and came to wave the Monaco flag in support of the record 14278 runners that gave their hearts for the less fortunate. In addition to waving the flag, the Government headed for the track. 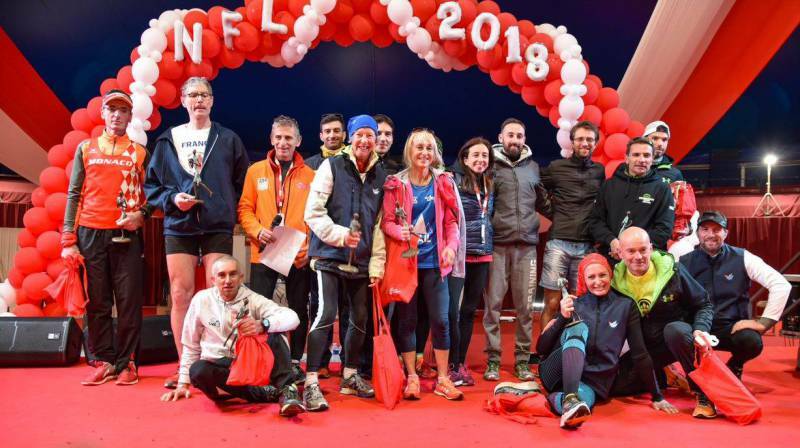 The Monaco Government dedicated a special contingent of its own employees to add another eleven thousand kilometres to the total, which all translates into more money going to children’s charities. Children in difficulty in Monaco, in France, in Mali, Madagascar and Senegal will benefit from the vibrations of Monaco Government employees striding away to channel yet more euros to aid them. One of these days Didier Sessegolo’s record of over 1000 kilometres set in 2012 is going to fall. And one of these days half a million kilometres is going to be run over the eight days and fireworks will celebrate it around the Principality. Could it happen at the 20th running of the event in 2019? 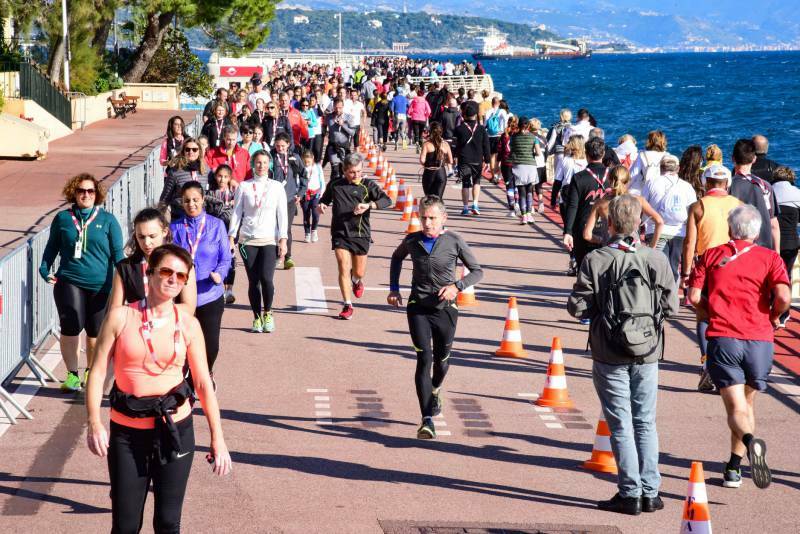 Meanwhile children are being saved, healed, educated and given a chance at a decent life because of everyone who danced around the No Finish Line track in Monaco, rain, wind or shine – and boy did it rain, the wet stuff and euros for Children&Future too!